Amazing new platform for development, eZ430-Chronos Wireless Watch Development Tool. Introductory video here and assembly/disassembly video here. Not available at the time of writing but will be available for purchase for $49 at TI eStore. The New $49 BeMicro FPGA Evaluation Kit available from arrowdevtools.com looks very impressive with the availability of free tools and a Nios II processor. With the on-board USB-Blaster for Quartus II Web edition you should have all you need to design and debug with a custom FPGA microcontroller. For I/O you have an 80-pin edge connector, eight LEDs, a UART and JTAG. See this getting started page for more details. UPDATE: There are a number of low cost BeMicro boards available from Arrow at http://www.arrow.com/bemicro/ including the new BeMicro Max 10 for $30 US. Freescale's tower development system is unique in physical design and also because it will support multiple processor families according to the tower system website, TowerGeeks.org. Currently only Coldfire processor boards are available along with a few peripheral boards. You can purchase either a complete kit or inidividual boards from Digi-Key. The kit shown above (TWR-MCF51CN-KIT) costs $100 and includes a microcontroller board, a serial module board, and two elevator boards. Barnes and Noble has released details and some specifications of its new electronic reader, Nook. Gizmondo and the Wall Street Journal are reporting that Barnes and Noble will release the Nook, an electronic reader to compete with Amazon's Kindle. It's reported to sell for $259, and run Google's Android OS. Gizmondo has pictures but no specifications yet. Today's google logo is a bar code that scans as 'google' and displays 'invention of the bar code' as the roll-over. Today is the anniversary of the bar code invention and yesterday the Nobel Prize in Physics 2009 was given to inventions that enabled technology such as bar codes, fiber optic communication and digital cameras. The Nobel press release is titled 'The masters of light' and describes "two scientific achievements that have helped to shape the foundations of today's networked societies." Attending the TI Tech Days Toronto 2009, I was impressed with the capabilities of the BeagleBoard, an OMAP3530 single board computer that sells for only $149. It was on display serving video to a tiny DLP projector that is also available as a development kit from TI. The BeagleBoard is a reference platform as well, with all schematics, gerbers and even design files available online. This allows third-parties like TinCanTools to develop a peripheral add-on board an an adaptor for their USB-JTAG board to support the BeagleBoard. The OMAP is a great platform for Embedded Linux development. The OpenEmbedded project, the Angstrom distribution, and Android all have been ported to the OMAP, and there is a great community of BeagleBoard Linux users and a wealth of information online at BeagleBoard.org. In addition to the BeagleBoard, there are OMAP development boards from gumstix and Logic. Each of these boards also have embedded Linux distributions and online resources for developers. At the Conference, the room was full for the OMAP embedded Linux presentation by Nuvation, and it could have lasted much longer if time permitted. Developers had many questions on each slide and the presenter had to rush to finish. You can tell that there are a lot of products in development with the technology or at least considering OMAP and Embedded Linux as a solution. There were a number of development companies at the conference (including Aaron Clarke Consulting) offering support for OMAP development. bSQUARE was giving away copies of Microsoft's Windows Embedded CE Evaluation Kit that also runs on the BeagleBoard. They support both WinCE and Embedded Linux development. They are headquartered in Bellevue, Washington with offices around the world including one near me in Rochester, NY. bSQUARE, who aquired Vibren Technologies in 2005, also offers an embedded flash for Linux and porting services for Adobe Flash Lite. You can see the BeagleBoard in action either at one of the remaining TI Tech Days or at the Embedded Systems Conference in Boston. TI will have a number of workshops featuring the BeagleBoard including Android development. Google's latest logo art honors Hans Christian Ørsted via a direct link to a google search of his name. He discovered that electric currents can induce magnetic fields in 1820. This inspired electromagnetic theory, one of the most important (and hardest to master) electronics design concepts. Consumer electronics like the radio, television and cell phone (and Google Android) are all possible because of Ørsted's discovery, and the work of others like James Clerk Maxwell. He allowed us to understand (and therefore eventually create) these waves traveling through space with what are known simply as Maxwell's equations. Mentor's acquisition of Embedded Alley will allow it to offer a three-OS solution to device manufacturers. Mentor's Nucleus real time operating system (RTOS) is installed on about one third of mobile phones. Before the acquisition, Mentor's Ben Hookway blogged about Nucleus and Android. Mentor has already updated its website to support developers implementing the multi-OS solution: Android and Linux Development Systems for Multi-OS and Multicore Development. Researchers at the Black Hat USA 2009 Technical Security Conference have shown how to use an SMS message to attack the iPhone. Charlie Miller and Collin Mulliner gave the talk 'Fuzzing the Phone in your Phone' (full text link here). They presented techniques that can be used for the iPhone as well as Android and Windows Mobile phones. The Authors demonstrated the iPhone attack for Elinor Mills of CNET before the talk. She reports there is no patch at this time but Apple was notified of the problem 6 weeks ago. Need to estimate battery life for your next embedded design? With SDRAM systems that can be difficult but Micron has a few system power calculator excel spreadsheets you can download to help. They have separate spreadsheets for SDRAM, DDR, DDR2, DDR3 and RLDRAM II. They also have some useful tech note pdfs on calculating system power. The first teardown of the iPhone 3G by Rapid Repair gives more details than the previously published specs. The Rapid Repair comparison chart shows the 3G has a 412MHz Samsung S3C6400 ARM11 and the 3G S has a Samsung S5PC100 ARM Cortex A8 at 600MHz. Google Wave is the second Google project for the developers of Google Maps. It attempts to combine e-mail and instant messaging into a single system, but doesn't stop there. They also aim to combine documents with conversations and allow networked collaboration to create a new electronic object called a wave. A wave doesn't have a true physical representation but that is part of the design according to the Google Wave post on the Official Google Blog. With an electronic form the wave allows dynamic features like playback and rewind that are hard to navigate with paper documents. Another interesting part of Wave is that it has an underlying open protocol called the Google Wave Federation Protocol. By opening up the protocol, Google is enabling companies to develop interoperable systems that use waves. That could allow consumer electronic start-ups to invent new web enabled devices. This can also allow some apps to be developed and delivered across mobile platforms. In the video you can also see Wave running on Android and iPhone at the 25:26 mark. "The new product design you are working on will end up in a dumpster in 10 years." I read that years ago in an engineering magazine. The point was to think about the environment, but I was more shocked to realize my hard work would soon be worthless. It made me strive to design products that will have value well beyond the warranty period. An unlikely area for product longevity is computer games because of the continuous advance of graphics technology. It may be partly nostalgia, but classic games live on. Surprisingly, its not in remakes with modern graphics, but in ports of the originals to new platforms like flash or mobile. Here is a flash Super Mario (also see Game Developers Compete to Give Mario Intelligence) or this Pac-Man for your cell. 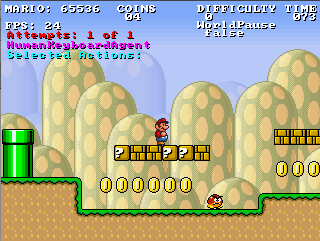 The use of emulators like MAME with the original code means even the flaws are ported. Usually cheats are added to give unlimited lives or invincibility but now the bugs are being fixed as well. That code review and test cycle that was skipped 26 years ago is being done by volunteers. Don Hodges found and fixed a huge bug in Donkey Kong shown in the video and another in Pac-Man. Thanks to Paras for sending me the link. Before open hardware came along, the only schematics and layouts that were free to download were from reference designs like this capsense multimedia board from cypress or this potential handheld gaming board from Luminary Micro. The Curious Inventor website has a great surface mount soldering video guide showing a number of techniques you can use to solder fine pitch surface mount components to printed circuit boards (PCBs). A novel method of prototyping electronics that allows easy soldering is the Schmartboard. An example of this is shown 7:59 into the video. I just read an article about electronic prototyping in the latest issue of Electronic Design that mentioned Schmartboard was awarded patent 7,511,228 for this technology. I found the JTAG I/O SchmartBoard useful when I needed to create an adaptor to connect my prototype to a standard 0.1 inch JTAG cable. The RJ11/45 and USB connector board looks useful as well. DataSlide is publishing 160,000 IOPS and 500MB/s transfer rates for its new Hard Rectangular Drive technology. The technology has been proven in prototypes according to an article in the Register. ZDNet gives a few more details and mentions a similarity to IBM's Millipede project. DataSlide is also promoting this as green tech when comparing IOPS/Watt to other drive technologies. I have developed on a few different NXP (formerly Phillips) ARM7 processors in consumer electronics products. NXP has a great selection of processor families with a variety of feature sets in each family. This makes it possible to reuse code on different products or to design-in a new processor without changing vendors. For example, on a product using the LPC21xx we were able to change to a processor with more memory during software development without any problems and with a very minor schedule impact. I just returned my LPC21xx development board to a client last week now that their product is in production. I was thinking about purchasing a replacement when out of the blue, I received a skype from NGX Technologies about a new low-cost LPC214x evaluation board they have developed. I haven't had a chance to evaluate it, but at under $50 (depending on exchange), it is much cheaper than any of the LPC214x boards I find online at the very useful LPC Tools website. The concept of open hardware is not as mature or well-defined as open software, but that hasn't stopped the development of some very interesting embedded systems. Some are inexpensive designs for the hobbyist that resemble electronic kits like the Arduino. Other are very polished and expensive consumer electronics like Chumby, with a 1GHz Marvell PXA168 processor and 802.11 b/g Wi-Fi. Another is Bug Labs ARM11 based BUGbase with swappable BUGmodules available for a variety of applications. Of course, with open hardware you can build your own module too. Make magazine has a huge list of open hardware projects. The one thing they have in common is free access to the schematics and layout and should use only open source software, so you are free to build the entire design yourself. In 2006 Intel sold the mobile XScale processor business to Marvell "to focus its investments on its core businesses." Now they are re-entering the embedded market by acquiring embedded software company Wind River as "part of Intel's strategy to grow its processor and software presence outside the traditional PC and server market segments into embedded systems and mobile handheld devices." Links are to Intel press releases. There is a lot of speculation about this acquisition and Intel's next embedded move, such as Intel looking to buy Marvell to re-aquire the mobile XScale, or an Android Linux smartphone that outperforms Google's. One area that may be affected by the acquisition is the newly available embedded OS virtualization technology, Wind River Hypervisor. It is currently only available on Intel and Power-PC processors, but support for other non-Intel processors is planned. This article at LinuxDevices.com claims that might change and gives an overview of the technology. Hypervisor currently only supports Linux and VxWorks, both Wind River supported OSes. CoreMark is a new free benchmark for embedded processors from EEMBC. EEMBC is using this to promote its other benchmarks and to compete with free benchmarks like Dhrystone. ARM TechCon3 is still being held in October in the Santa Clara Convention center. The deadline for paper submissions is July 14, with the conference on October 21-23, 2009. This reminds me of the Terminator TV series where a computer designed to compete in chess acquires an artificial intelligence that eventually threatens humanity. If you enter watch out for cyborgs and time travelers. The makers of Mathematica have created a website to "make it possible to compute whatever can be computed about anything." They need some help at the moment and will give you a link to participate if you find something the site is missing like digital filter, frequency spectrum, Hamming window, or impulse function. Wolfram Alpha is currently more powerful than using Google's built in calculator but I find the interface to be cumbersome. If you perform more than one calculation the history function can interfere with your text input and you lose the focus from the text entry box after each result. It does look useful for learning about mathematical functions, try epi*x for example, you can see a quick graph and they give a lot of useful formulae like series representations and integrals. Here are the full iPhone 3GS specifications and iPhone 3G specs. The 3GS release date is June 19. Prices are $199 for the 16GB 3GS and $299 for the 32GB model with new $99 price for the 3G. The 3GS specs are close to those leaked a month ago on a Chinese website according to this article on Brighthand. A few more specs that were leaked are a 600MHz processor and 256MB of RAM, these were both on the Chinese site and an accidental post to a T-Mobile spec page in the Netherlands. I have had great success bringing up new hardware with this small bench-top power supply from Lascar Electronics. The PSU 130 is inexpensive at under $90 US on Amazon.com or direct from the manufacturer (which gives quantity discounts). It is powerful enough to handle most electronic devices that I work on, and is small enough to fit underneath my computer monitor. The backlight is great for working in dim lighting and the large display is easy to read. I have unintentionally tested the short-circuit protection when I powered up a new prototype with a wiring mistake, and the supply suffered no damage. The only problem I have had is that one of the plastic tabs underneath the unit has broken, these are similar to what you find underneath most keyboards. This prevents me from easily raising it slightly for a better viewing angle (as shown in the picture). On the electrical side I have never had a problem. The current display is very useful working on prototypes, I can see when the SDRAM is initialized by the increase in current, I can see a short circuit condition and can easily measure power usage in different operating modes. With a 500+ MHz Freescale ARM11 the newly released Kindle 2 is faster than many smartphones including the iPhone according to a teardown at ifixit. It also uses a 32MB mobile DDR SDRAM and 2GB moviNAND both made by Samsung. Also improved are the display, battery life, ergonomics and wireless (3G) to allow book title browsing and download without a computer. Free internet access is limited to Wikipedia, magazines and blogs are available in the kindle store. Nokia owned Qt Software (formerly Trolltech), is offering a royalty-free license for the latest release of its windowing system Qt 4.5. The Linux port of Qt was formerly called Qtopia, now called Qt for Embedded Linux. It is advertised to be optimized for embedded and includes features to aid embedded developers. These include C++ class libraries, built-in support for hardware-acceleration, a free cross-platform IDE and the ability to simulate the device display on your development workstation. Also available for consumer electronics development are Qt for Windows CE and Qt for S60 on Symbian OS. On most embedded projects, I find the need to write utility applications that run on a PC. I have written programs to emulate TCP/IP clients and servers, test USB communications, test protocol implementation in firmware, and automate GPIB testing. Since most Linux (Unix, FreeBSD, etc.) utilities use getopt() for command line processing, I find it very useful when creating these utilities on Linux. I just found that I can do the same for Windows with this getopt port for Win32 and MFC development by Hans Dietrich. An electric guitar is being developed at the Massachusetts Institute of Technology that simulates a full sized acoustic guitar using a wooden insert and digital signal processing (DSP). The wooden insert is interchangeable to simulate different Acoustics. The newest version is going to use the Freescale DSP56371 with the Symphony SoudBite Development Kit.